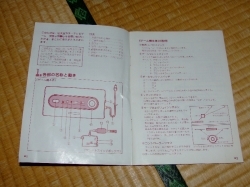 The Nintendo Disk System was an attachment that you would sit your Famicom on top of to play floppy disk based games. 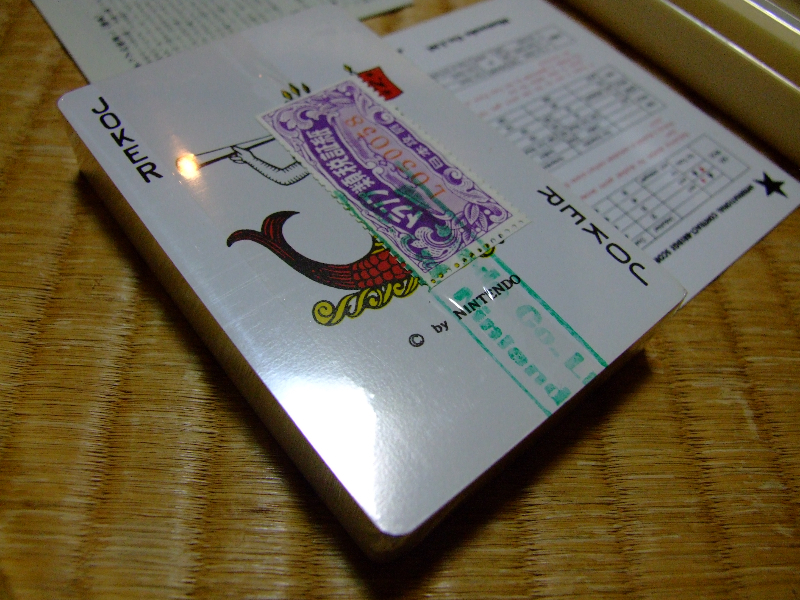 Nintendo actually had game kiosks (vending machines) that would allow you to put in some money, put in an old Disk System game, and then have a new game copied on top of the disk – ahhh, the good ol’ days when piracy was not an issue at all. 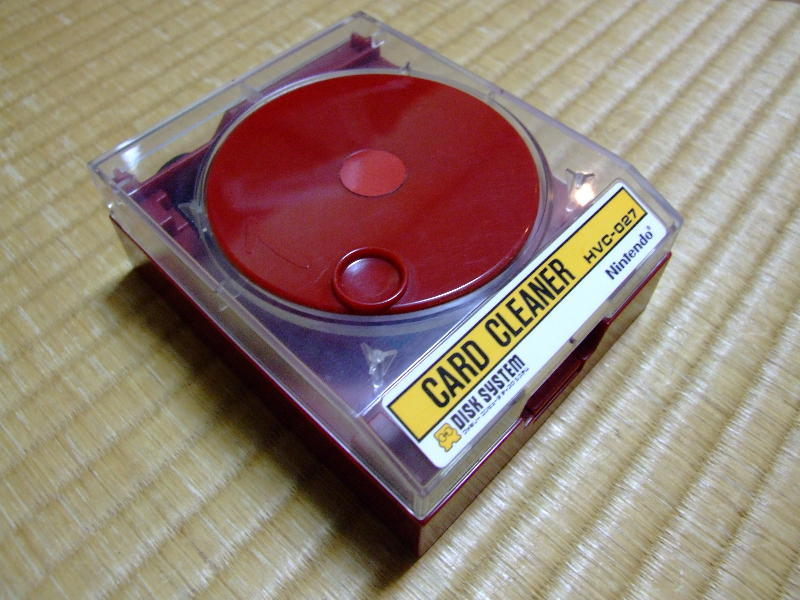 But what happens when those disks get covered in grime? Well, you throw it in Nintendo Disk System Card Cleaner for a few spins. 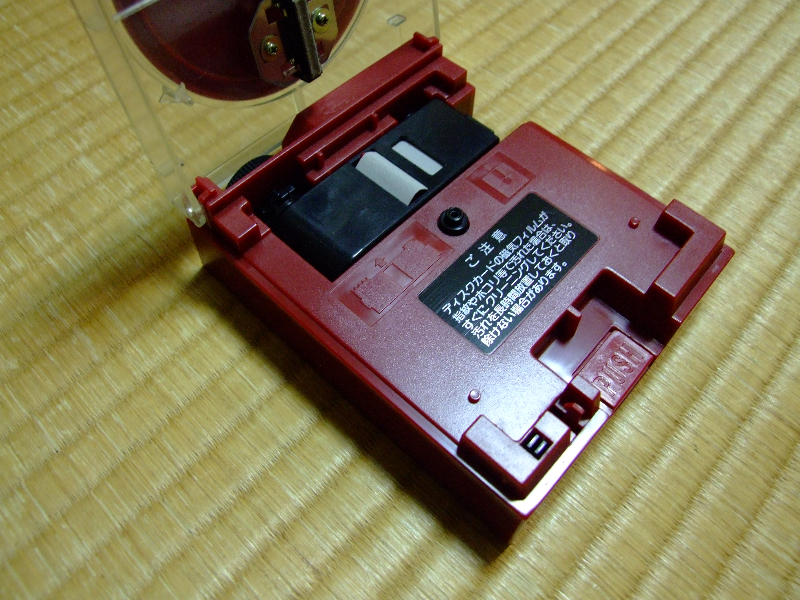 These little units have a tape like substance that you can wind until you found a clean spot, then once your game was placed, you would rotate the disk to clean. Quite simple and it does the trick quite well. 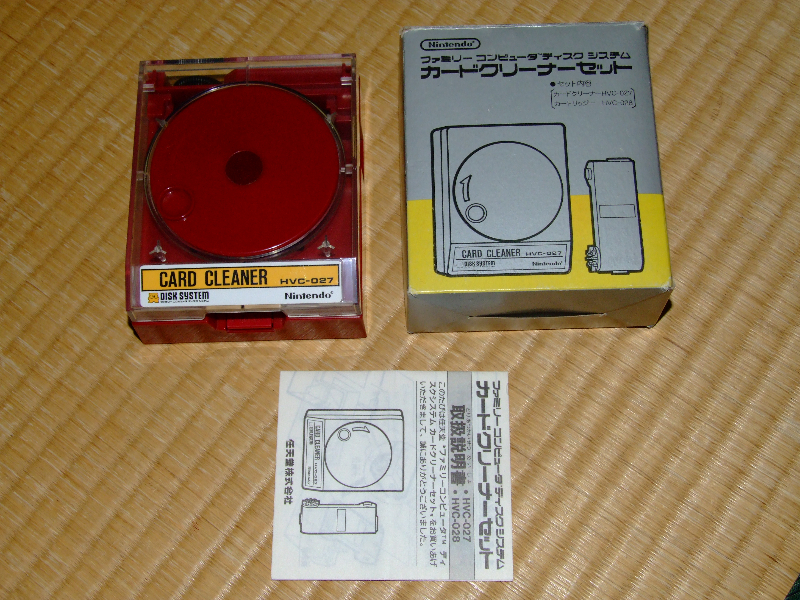 Unfortunately, the tape like material doesn’t really stand the test of time too well at all, and honestly speaking I probably wouldn’t trust it to clean my Super Mario 2, or my Kid Icarus. 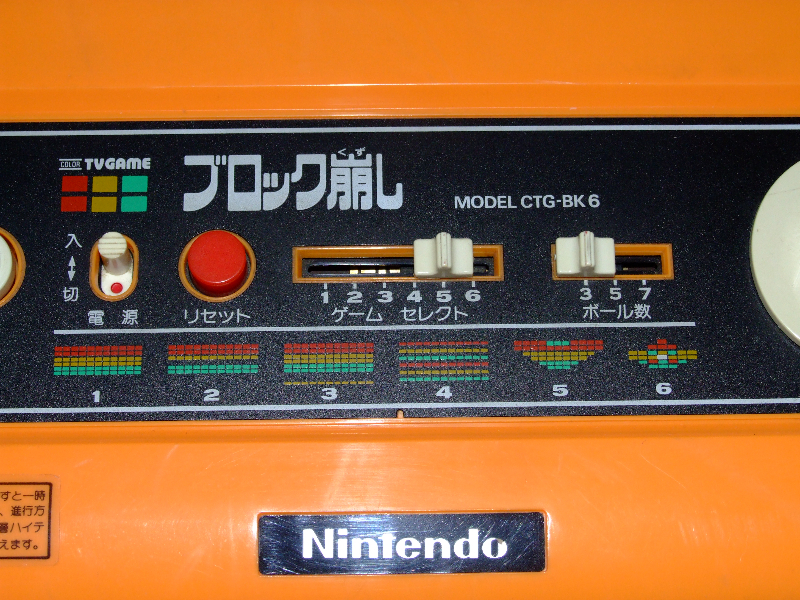 Nintendo were pumping out some great machines back in the late 70s with the ‘TV Game’ series, and although the ‘Block Kuzushi’ was quite different when compared with it’s ‘TV Game’ brothers, it must have been something special as it was the first console that Nintendo decided to put their logo on. 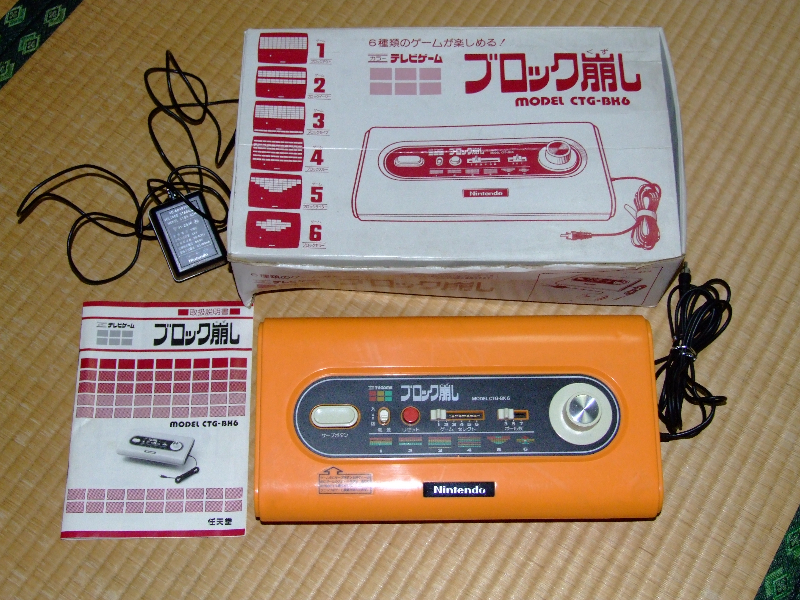 Released in 1979, Nintendo was trying to break-in to the break-out market (gamers will know what that means), and with design influence from Shigeru Miyamoto this 70s beast was a looker. It is a single player machine with a range of game modes, but all the game modes pretty much equate to the same thing – break-out. 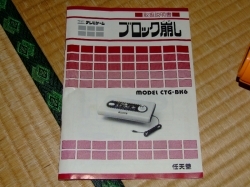 Luckily with instructional graphics included on the control panel, it does have very user-friendly interface for people with no Japanese ability (as shown bellow). In play the Nintendo Block Kuzushi stands up very well with other break-out clones of the period, and honestly is still a great game even today. It has a very solid wheel that 33 years on feels tough and responsive, and much like the other consoles released from Nintendo in the 70s (maybe with the exception of ‘Racing 112’) once I get it out I can’t help but sit down and play. 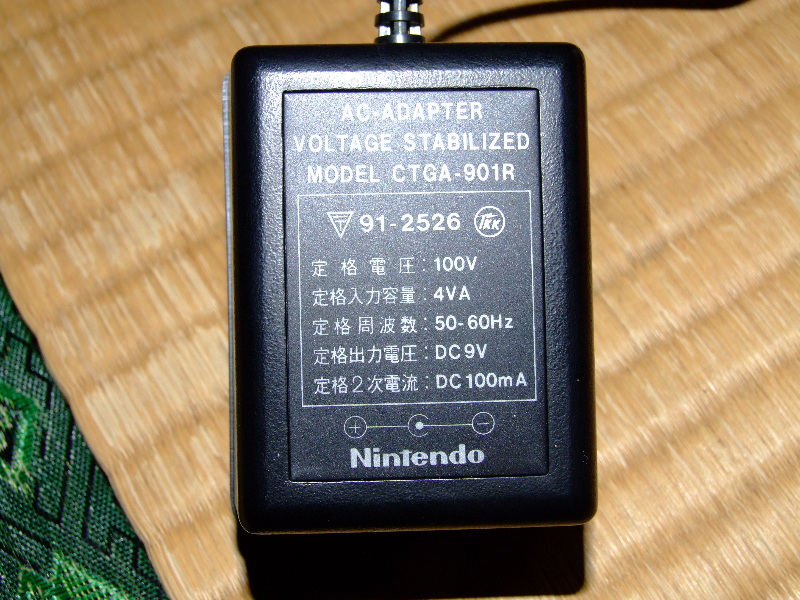 If I was to complain about it at all I would probably say that the switches are a little bit on the twitchy side. I find I have to move switches a few times for them to register properly, but other than that I have no complaints, specially when you consider the age of the machine. 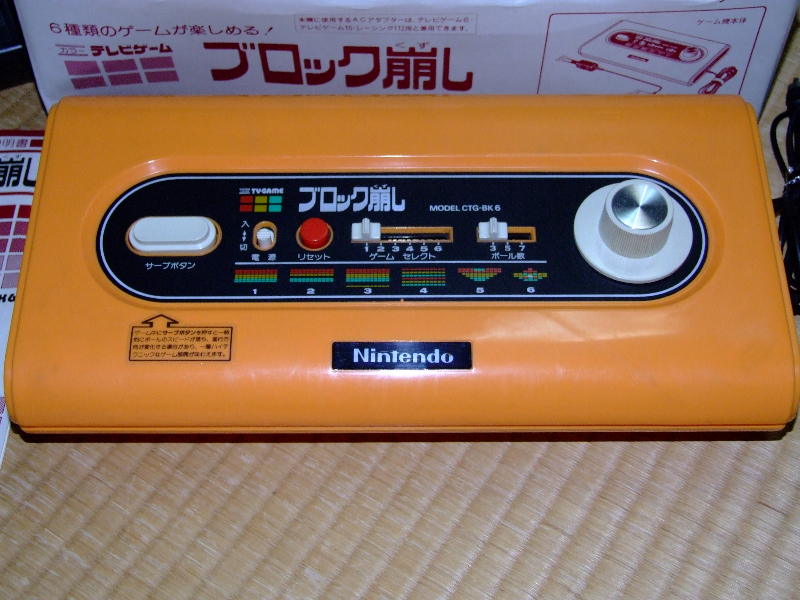 The 70s styling of the Nintendo Block Kuzushi makes it one of the best looking consoles around (in my opinion anyway). 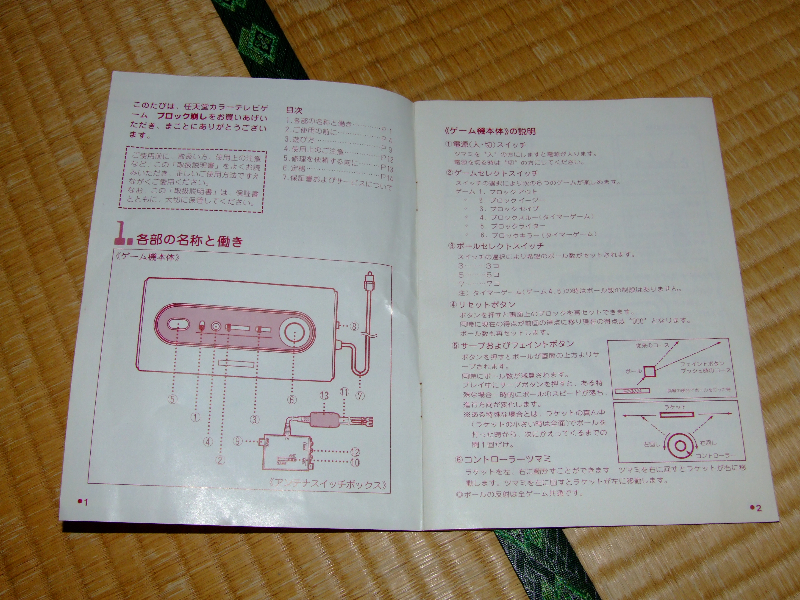 Everything from the art work in the manual, to the buttons and dials scream flared pants and plastic furniture! Just wish I had an orange TV to go with it. 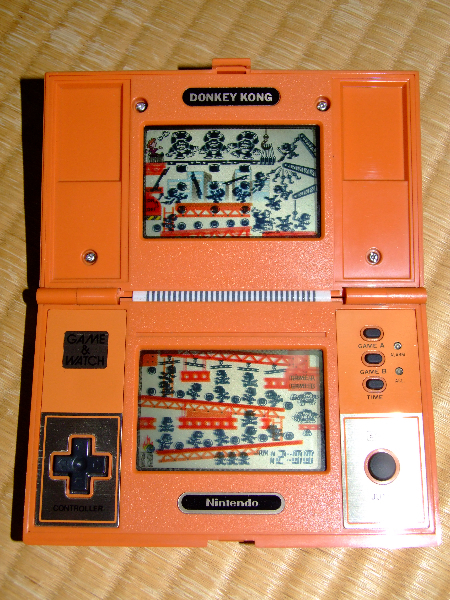 Donkey Kong Game & Watch – Yay the D-Pad! 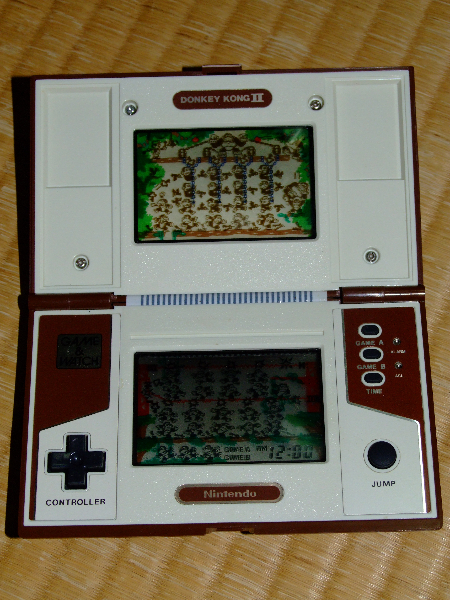 Ninendo’s Donkey Kong Game & Watch was the very first Game & Watch I had when I was a kid. 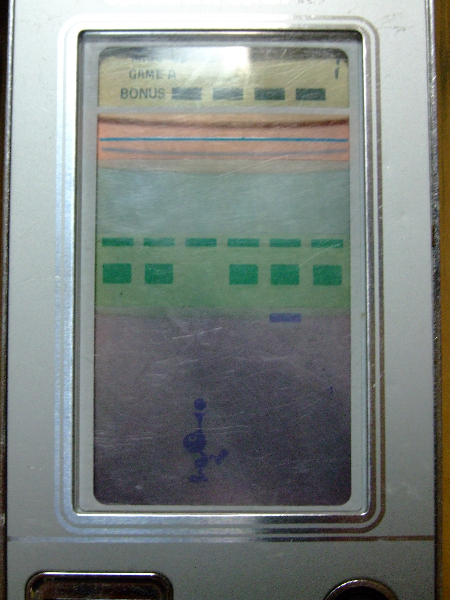 I loved this thing more than life itself, which is why I still kick myself for swapping it for a Mickey & Donald Game & Watch at some point. It must have been some older kid talking me into it…. I can’t remember what actually went down in regards to the deal itself, but I do hope I got something in addition to that Mickey & Donald. 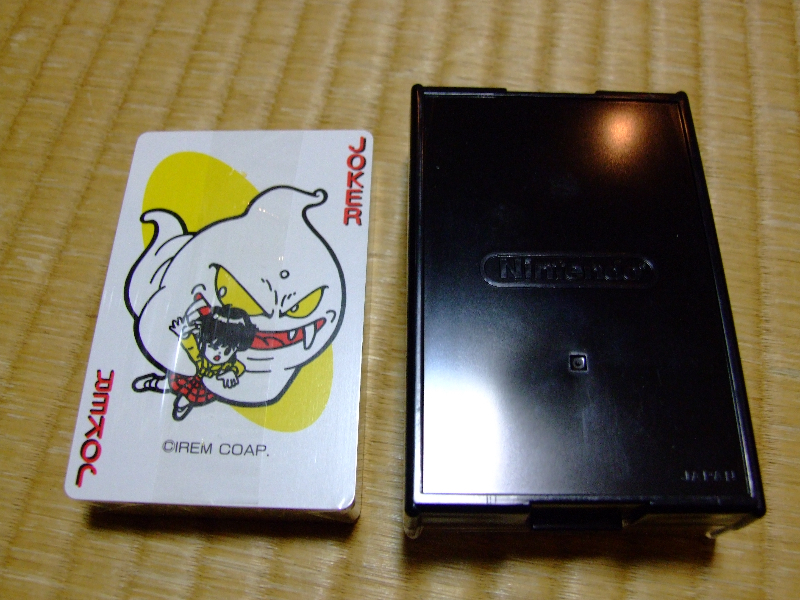 Anyway, being in Japan (the country with arguably the cheapest Game & Watches in the world), I could not think of a reason not to buy one again. And if you’re going to buy Donkey Kong, why not buy Donkey Kong II as well! Released in 1982, Donkey Kong was revolutionary for a number of reasons, but most notable would have to be the D-Pad. 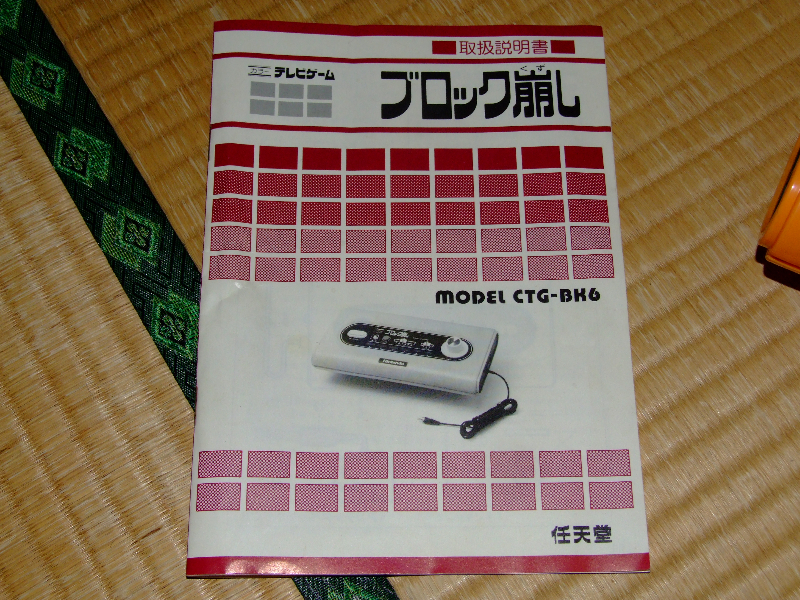 This was the first time the cross style D-Pad (developed by Gunpei Yokoi) had appeared on any gaming device, and subsequently won Nintendo a Technology & Engineering Emmy Award (wiki). 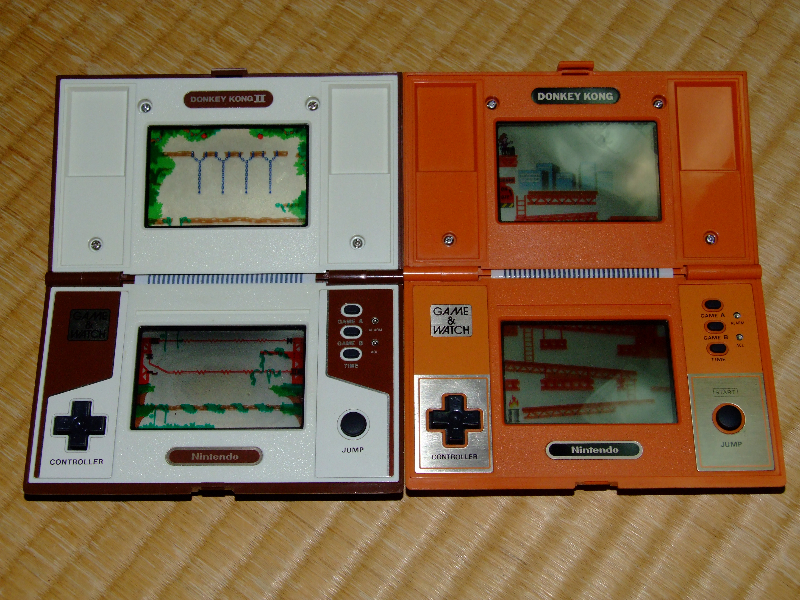 As many of you have probably read on my other posts, I am hard on the companies that used the D-Pad on the right side, and Nintendo really did set a standard by having them on the left – Donkey Kong Game & Watch was really a leader. When it comes to story, Donkey Kong and Donkey Kong II were very different games (that’s if you think them to have a story at all of course). In Donkey Kong you are Mario (at least I think it’s Mario) and you have to save the hot girl with beautiful long legs, creamy complexion, long flowing hair draped over her firm…. (sorry about that, childhood imagination taking over for a second), and in Donkey Kong II you must play as Donkey Kong Jr. to save Donkey Kong. 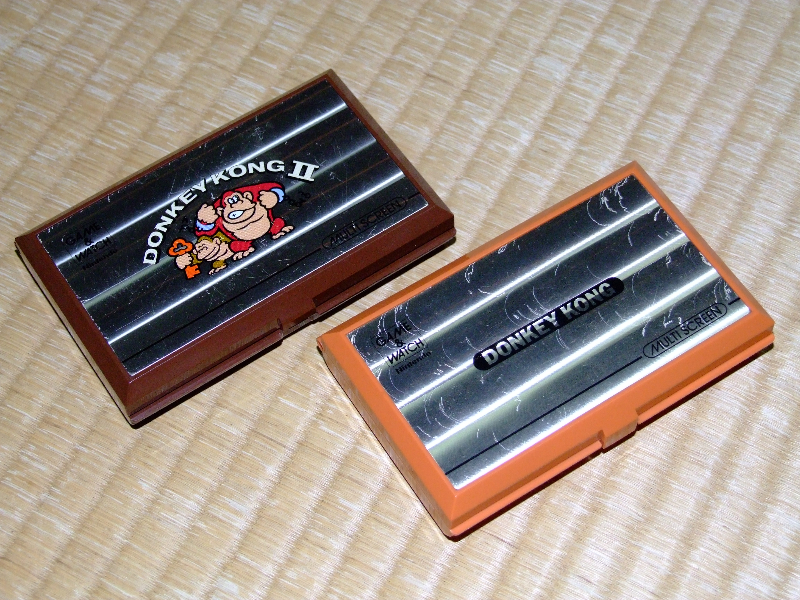 Both games are extremely playable in their own right, but Donkey Kong II is much more difficult to conquer. Those of you that have played these games on an emulator really don’t understand what these games are about. 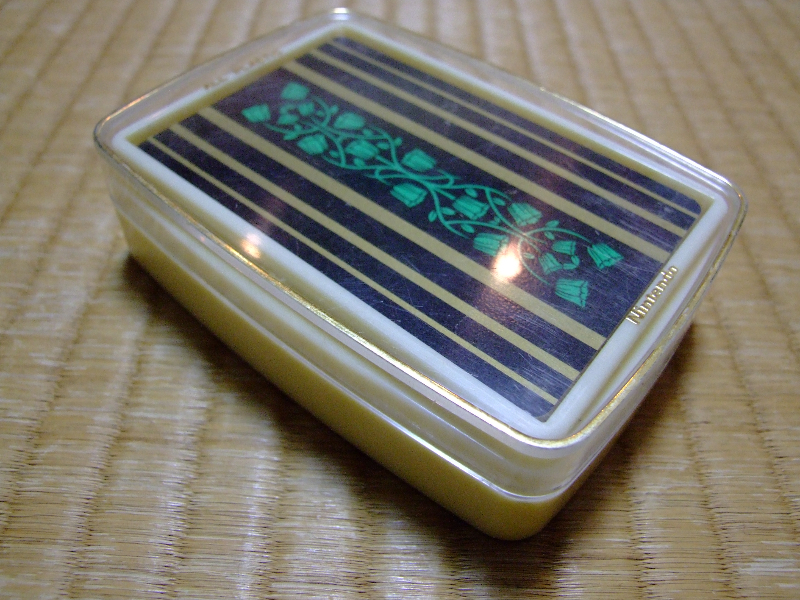 I have tried many different emulations out there (including the one for the Nintendo DS) and none of them come close to the feel of the real thing. 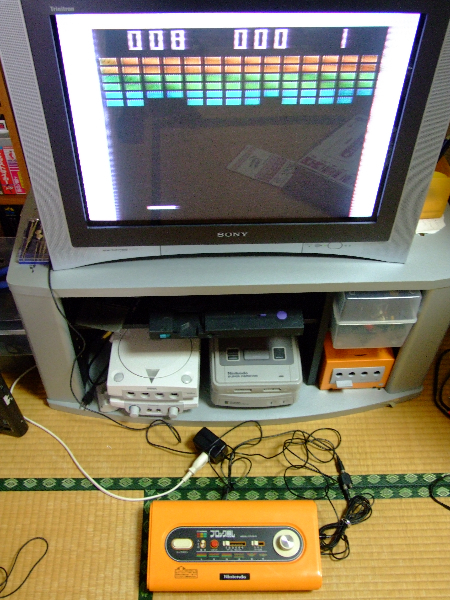 Due to hardware limitations, these machines almost seem to have a life of their own. 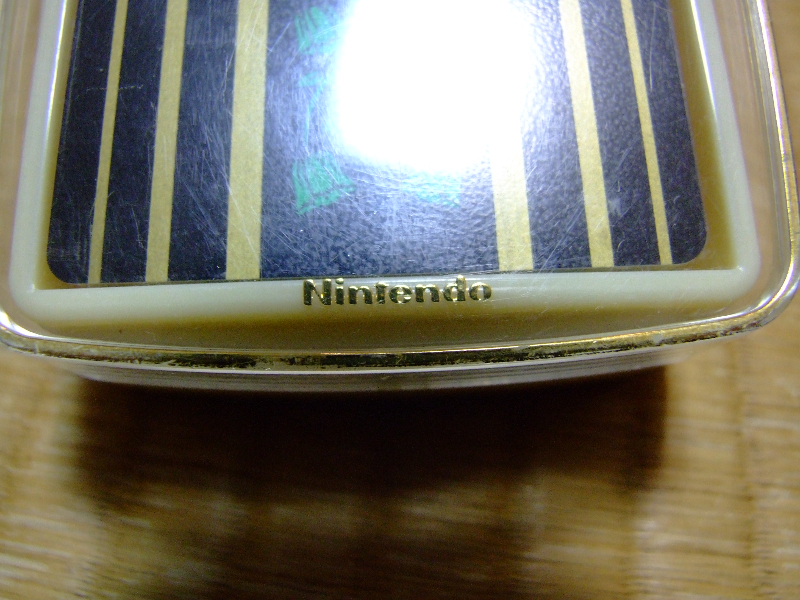 The first Nintendo Spitball Sparky I owned I sold to a friend of mine back home, but the day after sending it I knew I was going to regret the sale. Within a few short months I bought another one, but unfortunately this one isn’t as good as the one I sold – the hunt continues for a perfect one. There really is something about this silver beast that isn’t easy to define. I would say it’s one of the more challenging Game & Watches, and I believe it’s the only Nintendo handheld I have that I haven’t actually broken the 1,000 point mark on yet. Actually Donkey Kong II is another one I might not have clocked yet too now that I think about it. 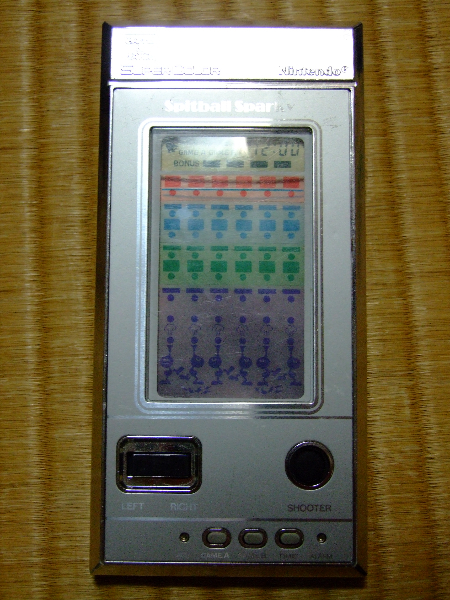 The game in many ways Spitball Sparky is similar to games like Arkanoid or Block Kuzushi, but each time the ball comes within spitting distance you must manually shoot it away. A very interesting gameplay element is the way in which you can shoot the ball before it actually lands. By doing this it means that it’s possible to change the trajectory, and this is what makes the game very fun to play. When compared with other Game & Watches of the time, the gameplay feels almost random. For the collectors out there who only want the most rare version you can get a hold of, there is the illusive white Spitball Sparky just for you indian viagra alternative. The silver version that you see pictured here is the original colour that the Spitball Sparky is meant to be, but due to an error in manufacturing there were white Spitball Sparky Game & Watches released into the wild. 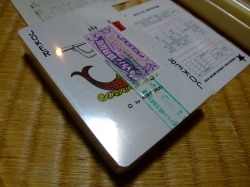 Getting a hold of one of these isn’t easy at all though, and the prices they go for are insane. I can thoroughly recommend picking up a Spitball Sparky. I am always on the lookout for an immaculate one, and I definitely won’t be selling this one I have here until I find it – learnt my lesson the first time. ? 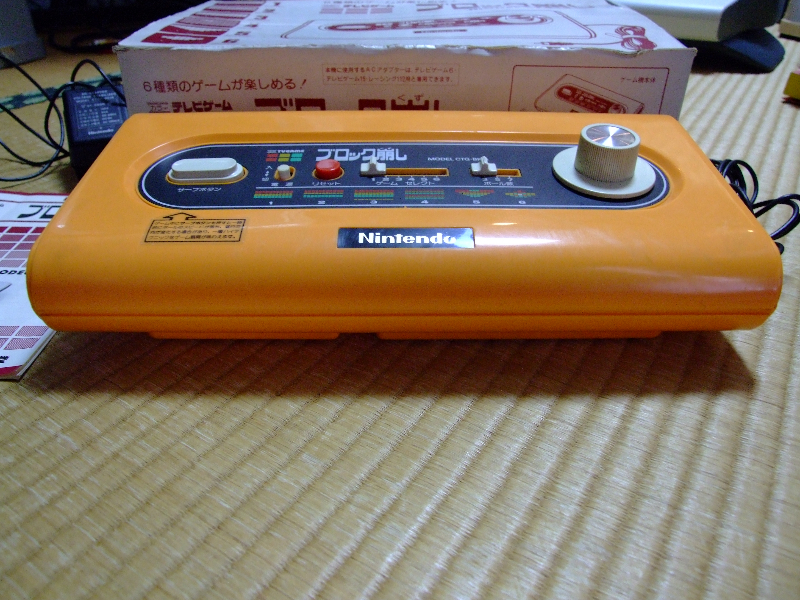 Before Nintendo was known for its video games, it was known for its games of the analogue variety. 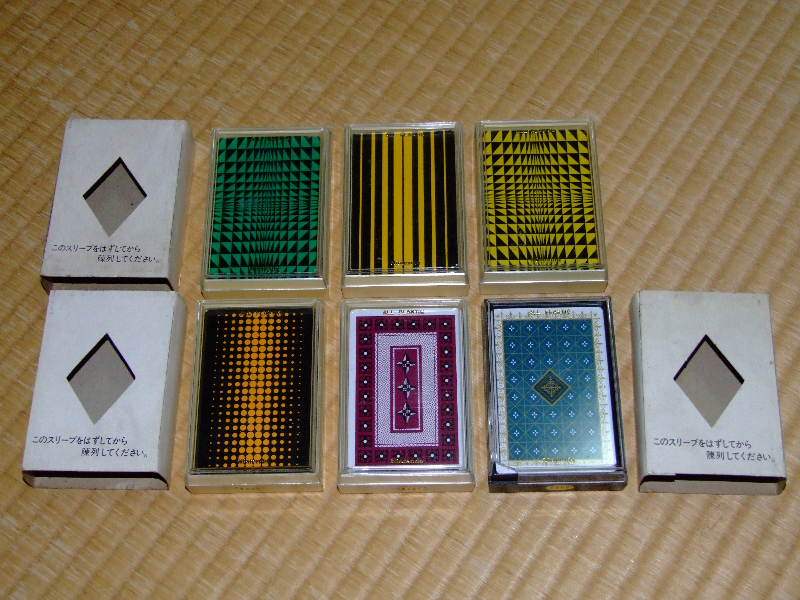 The following post is about two sets of Nintendo playing cards I stumbled across in two separate junk stores here in Japan. ? 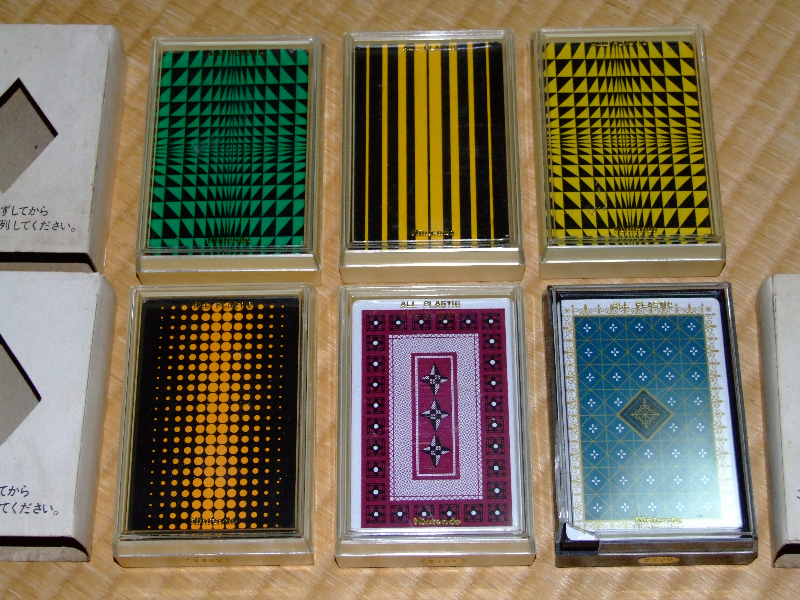 You may have seen the modern day Mario playing cards that are still being sold today, but the cards pictured bellow are considerably older – how old I’m not exactly sure, but judging by people I have spoken to here, they may be as early as the 70s. If anyone reading this post has any idea I would love to hear from you though. This particular pack is still sealed, and was bought in a store that has very little to do with video games at all. It was a very lucky find, as if these were in a store that had any regular game hunters coming through, they would not have lasted a day! 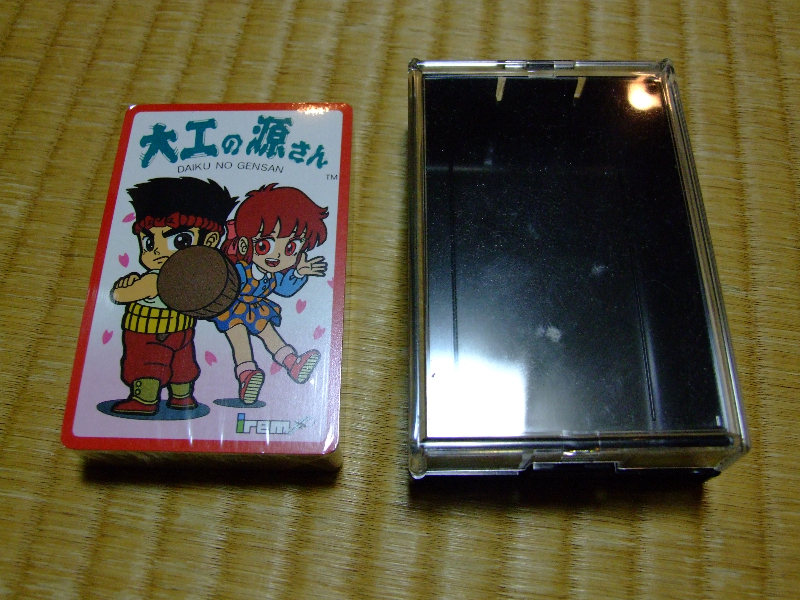 This set also released by Nintendo, but of Irem’s Hammerin’ Harry is another quite early set (I think). 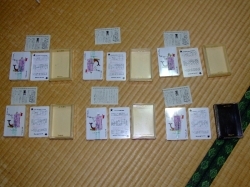 Judging by the graphics printed on the cards they may have been released at around the same time as the Famicom version of the game, but again I am not sure at all. 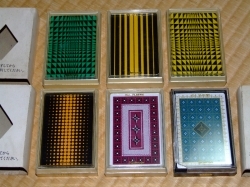 If so, these may have been released in the early 90s. 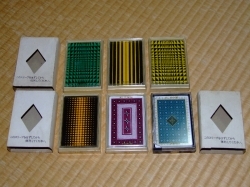 I do know of older cards which have the exact same black plastic case. If anyone knows hard facts though, please link me to sites – I’d really appreciate it. This set is still factory sealed too. Unbelievable that people wouldn’t even crack them open! I was very lucky to find these two sets, specially for the prices that I did. ? 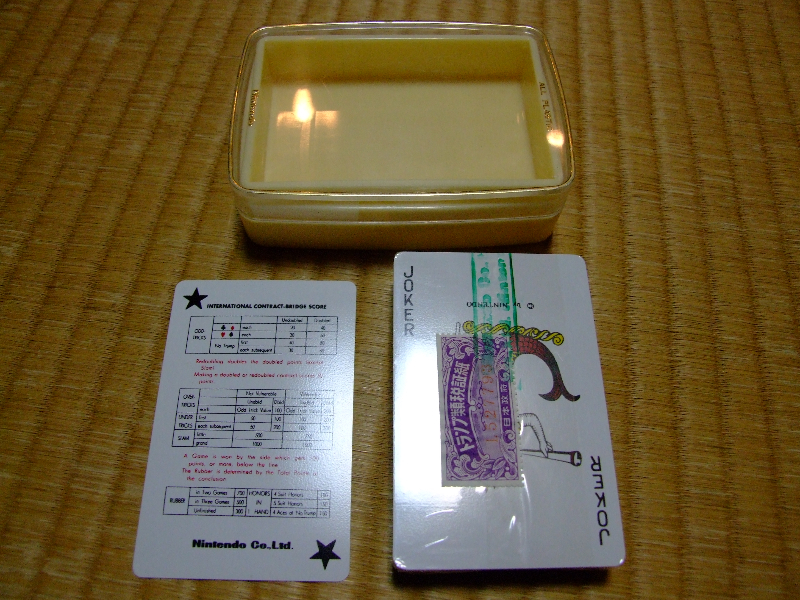 After making this post I decided to go on the hunt for more of these Nintendo cards. I decided to search outside the areas where Nintendo gear would normally be, and was lucky enough to find an auction selling a bulk lot of 6 completely sealed! Completely amazed I snapped them up quick. The photos bellow show you what I got.